Big Bite has a new shape for the crappie market called the Crappie Thumper! 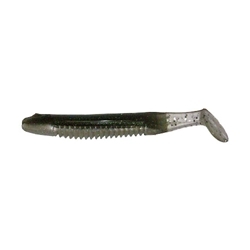 This minnow imitator has a great swimming action and is great for trolling, strolling, drifting or casting. The Crappie Thumper is 2" in length and come 10 to a pack.